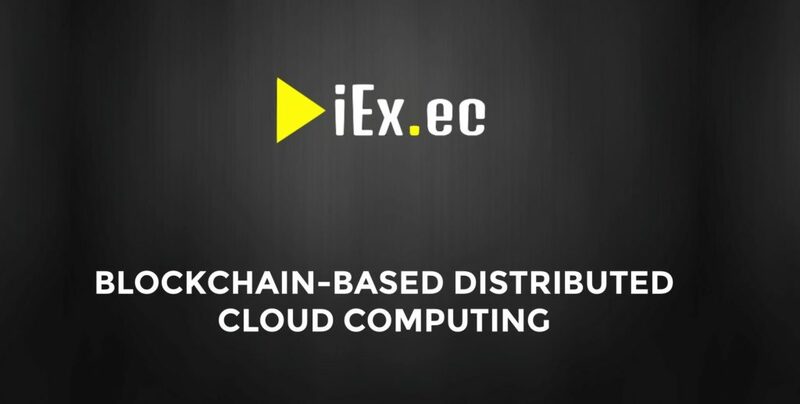 The internet as we know is in need of an upgrade and iEx.ec is the one that is going to make it happen.iEx.ec (stands for “I Execute”) is a blockchain based distributed cloud computing system that aims to provide scalable, secure and easily accessible computing resources for decentralized applications. The solution offered by iEx.ec is a need of the hour as the demand for DApps is gradually increasing. The shift towards DApps is being fueled by the emergence of numerous blockchain platforms. iEx.ec has offered a glimpse of what’s yet to come by releasing a whitepaper. The first version of whitepaper gives an insight into the team’s vision, the market, its future development roadmap and details of soon to be launched crowd sale. Based out of Lyon in France, iEx.ec has already made a mark in the blockchain ecosystem by presenting the platform at Ethereum Devcon2 conference held in Shanghai, China. It has also successfully demonstrated its distributed cloud computing platform at the Super Computing Exhibition 2016 held in Salt Lake City, USA. Staying true to its word, iEx.ec uses a distributed ledger to organize a market network where everyone can share and monetize their servers, applications, and datasets. In addition, the Ethereum based smart contracts will help users to create virtual cloud infrastructure capable of offering on-demand High-Performance Computing services. The platform borrows the Distributed and Parallel Computing technology developed by INRIA and CNRS research institutes to create XtremWeb-HEP based computing system. The use of such technology allows integration of much-needed features like fault tolerance, multi-applications, multi-users, hybrid public/private infrastructure, deployment of virtual images, data management, security and accountability and more. Starting with its own Proof of Contribution consensus protocol, iEx.ec has already made significant progress in the technology and with the upcoming crowd sale, starting January 17, 2017, it intends to raise the required capital for large-scale development and implementation. Soon, iEx.ec will make blockchain based distributed cloud computing easily accessible to everyone.